Constitution of India, 1950 – Arts. 239, 239A & 239AA - Government of National Capital Territory of Delhi Act, 1991 - Transaction of Business of the Government of National Capital Territory of Delhi Rules, 1993 - Interpretation of - Ideals / Principles of Representative Governance - Constitutional morality - Constitutional objectivity - Constitutional Governance and the Conception of Legitimate Constitutional Trust - Collective Responsibility - Federal Functionalism and Democracy - Collaborative Federalism - Pragmatic Federalism - Concept of Federal Balance - Interpretation of the Constitution - Purposive interpretation - Constitutional Culture and Pragmatism - Interpretation of Article of the Constitution - Status of NCT of Delhi - Executive power of the Council of Ministers of Delhi - - Essence of Article 239AA of the Constitution - Constitutional Renaissance. 34. The submissions put forth by Mr. Maninder Singh, learned Additional Solicitor General of India, appearing on behalf of the respondents, Union of India and Lieutenant Governor of Delhi, revolve around the argument that although the insertion of Article 239AA envisages the constitution of a Legislative Assembly for the National Capital Territory of Delhi, yet the President shall remain its Executive head, acting through the Lieutenant Governor, and that the powers of the Parliament in respect of the Union Territories shall not be derogated in any manner by the insertion of the said Article 239AA. 35. 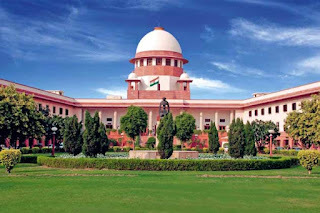 The respondents submit that the constitutional scheme envisaged for the Union Territories has been dealt with in New Delhi Municipal Corporation (supra) case and although the Court in this case had contemplated three categories of Union Territories, yet it had arrived at the conclusion that those surviving as Union Territories and not having acquired Statehood shall remain so and Delhi, now referred to as "National Capital Territory of Delhi", is still a Union Territory. The respondents further submit that once it has been determined that Delhi continues to be a Union Territory, its governance shall be regulated by the provision of Article 239 which stipulates that all Union Territories shall be governed by the President of India and neither a plain textual reading nor a contextual reading of Article 239AA stipulates any vertically divided exclusive jurisdiction with the Legislative Assembly or the Council of Ministers. 36. The respondents, thereafter, in their submissions, after citing several authorities, have sought to impress upon this Court that Article 239AA be given its literal and true interpretation as there exists no ambiguity attracting the requirement of purposive interpretation. The respondents have also submitted that since it was on the recommendations made by the Balakrishnan Committee, which had been accepted in toto, that the Sixtyninth amendment and the 1991 Act came into force, the Court should consider the report of the Committee and the reasons provided therein in order to ascertain the true intention of the exercise of the constituent power of the Parliament for bringing about the said amendment as well as the GNCTD Act. 37. It is also asserted by the respondents that Article 239 is an integral part of the Constitution and the foundation stone of Part VIII and that Article 239AA shall be read conjointly with Article 239 which provides that the ultimate administration with respect to Delhi shall remain with the President acting through its administrator. 38. The respondents also contend that although Article 239AA confers on the Legislative Assembly of Delhi the power to legislate with respect to subject matters provided in List II and List III of the Seventh Schedule, yet the said power is limited by the very same Article when it employs the phrase "in so far as any such matter is applicable to Union Territories...." and also by specifically excluding from the legislative power of the Assembly certain entries as delineated in Article 239AA(3)(a). This restriction, as per the respondents, limits the power of the Legislative Assembly to legislate and this restriction has to be understood in the context of conferment of special status. 39. To reiterate the position that the President remains the Executive head for all Union Territories, Mr. Singh has drawn the attention of the Court to Articles 53 and 73 read with Article 246(4) of the Constitution. It is further urged that nowhere in the Constitution, including Articles 239A or 239AA, it has been stipulated that the executive power of a Union Territory shall vest in the Council of Ministers/Legislative Assembly. It has been argued that the contention of the appellant that on the creation of Legislative Assembly, there was an automatic investiture of executive power on the said Assembly is flawed as the constitutional scheme does not envisage any conferment of automatic power on the Council of Ministers. Further, as the submission is structured, Article 239AA(4) employs the phrase "Lieutenant Governor and his Ministers" which implies that it is the "Lieutenant Governor" and not the "Council of Ministers" who is responsible for the administration of the Union Territory. That apart, the provisions of Articles 298, 299 and 239AB of the Constitution and Section 52 of the 1991 Act also reiterate the position that the Constitution does not stipulate any automatic conferral of executive power and the same is echoed in the Balakrishnan Committee Report. 40. The respondents contend that the contention of the principle laid down in the judgment of Ram Jawaya Kapur (supra), that wherever there is existence of legislative power there is coextensive existence of executive power, is with respect to only the Union and the States and is not applicable to Union Territories as the same would be against the constitutional mandate as laid down in its various provisions. 41. The respondents, to further advance their arguments, have pointed out the distinction between Articles 239AB and 356 of the Constitution and have submitted that Article 356 envisages that the President shall assume to himself the functions of the State Government and the powers vested in the Governor in case of failure of "constitutional machinery” but in the case of Union Territories, this clause would become inapplicable as the executive power of a Union Territory remains vested with the President. The respondents would further submit that Article 239AB does not stipulate any "assumption of powers" by the President but merely provides for suspension of operation of Article 239AA in the NCT of Delhi in case the President is satisfied that it is necessary to do so for the proper administration of NCT of Delhi. 42. The respondents, in their submissions, also point out that a close reading of Article 239 with Article 239AA along with Section 44 of the GNCTD Act, 1991 would reveal that the expression "Executive action of the Lt. Governor" and not the "Executive action of NCT of Delhi" has been stipulated in the said provisions. The said intention can also be seen from the fact that the phrase Lieutenant Governor "with the Ministers" has been used in Section 44(1)(b) and further Article 239AA(4) also engages the phrase "his functions". This leads to the implication that the extent of contribution/participation to be made by the Council of Ministers is only to render aid and advice to the Lieutenant Governor. 43. It has been further submitted on behalf of the respondents that the aid and advice rendered by the Council of Ministers is not binding upon the Lieutenant Governor and he is empowered to form an opinion that differs from the opinion of the Council of Ministers. In such a situation, the proviso to Article 239AA(4) comes into play which provides that in case of such difference of opinion, the decision of the President shall be final. Learned Additional Solicitor General has stressed that this is in recognition of the fact that the ultimate responsibility in relation to the administration of the Union Territories lies with the Union and there is clear demarcation of difference as regards the manner of governance between States and Union Territories whereby in case of the former, the Governor is bound by the advice tendered by the Council of Ministers. 44. The respondents further point out that a combined reading of Article 239AA(4) and Section 41(2) of the 1991 Act would suggest that when the question arises if a matter is one where the Lieutenant Governor shall exercise his discretion, the decision of the Lieutenant Governor shall be final. Article 239AA(4) and the proviso thereto is not an exception and, hence, should not be given a restrictive meaning and the phrase "any matter" has been deliberately kept of the widest import. 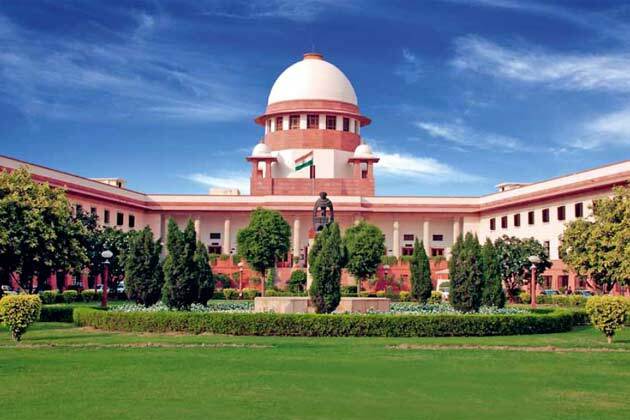 To bring home the point, reliance has been placed on the dictum laid down in Tej Kiran Jain and others v. N. Sanjiva Reddy and others, (1970) 2 SCC 272 where the word “anything” has been said to mean "everything". Therefore, the phrase "any matter" has to be interpreted to mean "every matter". The said interpretation, as per the respondents, would be in accord with the objective of the Constitution that the Union shall retain the ultimate authority to legislate on any matter with respect to the National Capital Territory of Delhi. 45. The respondents also submit that Article 239AA does not contemplate a new scheme and it is similar to that envisaged under Article 239A which pertains to the administration and governance of the Union Territory of Puducherry. A comparison of the scheme provided under Article 239, Article 239A read with the 1963 Act for Puducherry on one hand and Article 239, Article 239AA read with the 1991 Act for Delhi on the other hand would reveal that both the schemes are similar to the extent that the intention is to retain the continuing control of the President and the Parliament for the executive and legislative functioning of the Union Territories. 46. The respondents contend that Article 239AA, and in particular, clause 4 of the said provision, is not the first of its kind and a similar provision in the form of Section 44 existed in the Government of Union Territories Act, 1963 and that the issue of interpretation of this Section had come up before this Court in several cases wherein it has been laid down that the "State Government" with respect to Union Territory would mean "Central Government" in terms of Section 3(60) of the General Clauses Act. Hence, when a similar provision such as Article 239AA(4) has already been given a certain interpretation by this Court, then merely because of the fact that special provisions have been placed in the Constitution for the NCT of Delhi, which is not so in the case of other Union Territories, it shall not bar the Courts from adopting an interpretation of Article 239AA which is similar to Section 44 of the 1963 Act. 47. The respondents finally submit that as per the constitutional mandate, the ultimate responsibility with respect to all matters governing the NCT of Delhi fall within the domain of the Union Government. To bolster the said stand, the respondents have placed reliance upon relevant portions of the Balakrishnan Committee Report and also various other provisions of the Constitution of India and the 1991 Act. Further, the respondents argue that to devolve exclusive legislative or exclusive executive power on the Legislative Assembly or Council of Ministers of the NCT of Delhi would result in elevating a Union Territory to the status of a State, a demand which has been rejected by the Constitution makers on several instances. That apart, it would be impermissible under any interpretation of the constitutional text and also contrary to the constitutional mandate. 48. Before we dwell upon the submissions, we are of the considered view that we should state certain principles and analyse certain constitutional concepts. Frankly speaking, we feel the necessity as we are really concerned with the interpretation of a constitutional provision having regard to its operational perspective in a democracy. We have said so in the prelude. We do not think and we are not persuaded to think that the present controversy can rest on either of the extremes propagated before us. We are convinced that a holistic approach has to be adopted from a constitutional vision which is bound to encapsulate crystalline realism.